BarkLogic Natural Neem & Tea Tree Deep Cleansing Shampoo is a non-toxic and pesticide free formula that contains nature’s most powerful pest fighting and purifying ingredients. BarkLogic Natural Neem & Tea Tree Deep Cleansing Shampoo is hypoallergenic and contains a unique blend of essential oils that are known to safely and naturally help deter pests. This deep cleansing, proprietary formula aids in safe and chemical free prevention and elimination and will leave your pet’s coat clean, soft, and refreshingly scented. Safe for daily use. 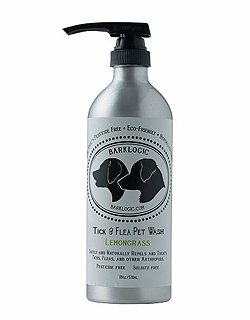 BarkLogic - Tick & Flea Pet Wash Lemongrass - 18 oz. Formulated with nurturing botanicals to deeply deodorize, condition, moisturize, and detangle fur. This hypoallergenic and gentle botanical formula will protect your pets fur from the elements and damaging environmental factors, leaving the coat soft, silky, vibrant, freshly scented, and residue free. BarkLogic Natural Daily Odor Eliminating Spray is a unique and natural plant and mineral based blend that is formulated to safely neutralize, break down, and eliminate strong odors on pets and surfaces. BarkLogic Natural Daily Odor Eliminating Spray is a non-toxic gentle approach to odor control both on your pet and off. Safe for daily use. 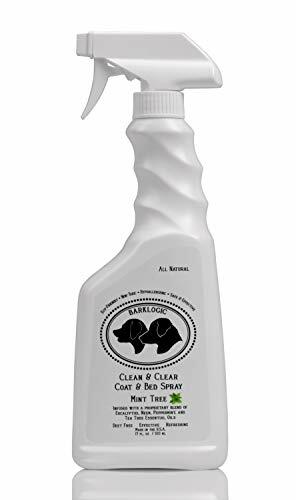 Made in the U.S.A.
Pesticide free with no animal ingredients or harsh chemicals, BarkLogic Natural All Purpose Kennel & Coat Spray will provide gentle and safe odor control while refreshing surfaces as needed. It is infused with essential oils that are known to banish and repel fleas, ticks, black flies, gnats, mosquitos, and other bugs. 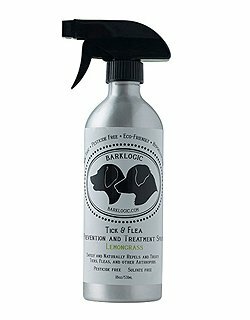 BarkLogic Natural Kennel & Coat Spray is safe for daily use, fume free. BarkLogic Natural Deodorizing Shampoo is formulated using nature most powerful plant and mineral based ingredients to safely and gently lift up, break down, and wash away unpleasant odors, dirt, and debris from your pet’s fur with every use. BarkLogic Natural Deodorizing Shampoo will eliminate odors on contact and will leave your pet’s coat clean, refreshed, and odor free. BarkLogic Natural Deodorizing Shampoo is natural, gentle, and hypoallergenic. Can be used as often as needed. BarkLogic Natural Leave In Conditioning Spray is formulated using nature’s finest 100% plant and mineral based ingredients to naturally condition and detangle your dog’s fur. 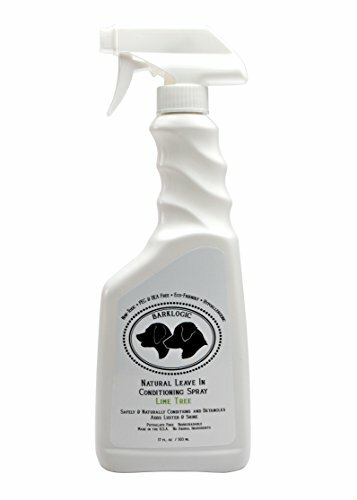 BarkLogic Natural Leave In Conditioning Spray is hypoallergenic, weightless, and will aid in moisture retention, increasing fur elasticity, and will help keep your pet’s fur hydrated. 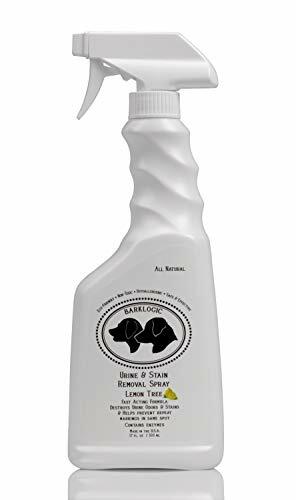 BarkLogic Natural Leave In Conditioning Spray will also add luster and protect and nurture your pet’s coat in-between baths, or after baths, and leave your pet refreshingly scented with each use. 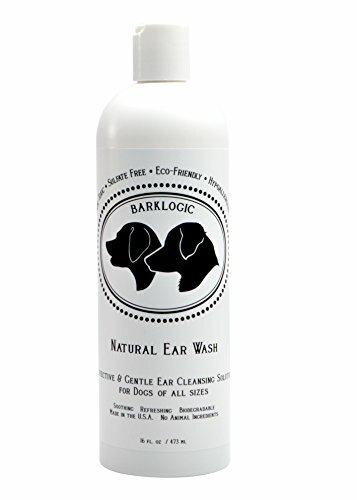 BarkLogic Natural Ear Wash With Witch Hazel - 16 fl. oz. BarkLogic Natural Pet Ear Wash is formulated to be an effective, yet gentle, ear cleansing solution for dogs of all breeds and sizes. Formulated using nature’s powerful ingredients, BarkLogic Natural Ear Wash is soothing, and helps eliminate ear crust, debris, odor, and itching. BarkLogic Natural Ear Wash contains ingredients known to have antimicrobial and disinfecting properties that help combat bacteria, fungus, and mites. For External Use Only.